Two items, unrelated but both aesthetically appealing, in my opinion. 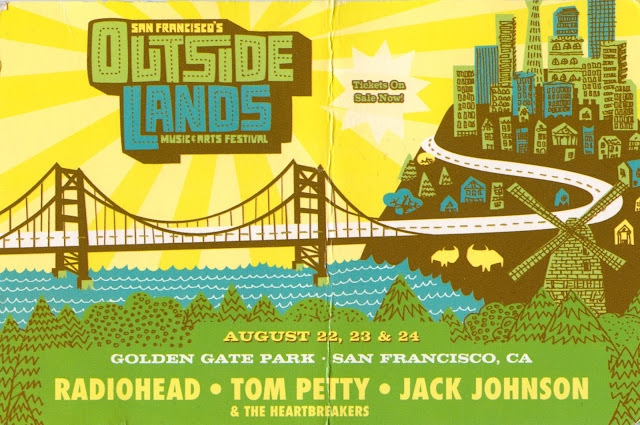 First, the flyer for the upcoming Outside Lands, which just might prove to be worth the trip up to San Francisco, despite the presence of Jack Johnson. And second, a label from a Le Sueur-brand can of peas, which I like for reasons I can't explain. Simple, I guess, and looking like it hasn't changed in years. The label is reflective, though, so the scan didn't work so well. But you get the idea. Keep and eye out for them the next time you're walking down the appropriate aisle. Click either one for a larger version. 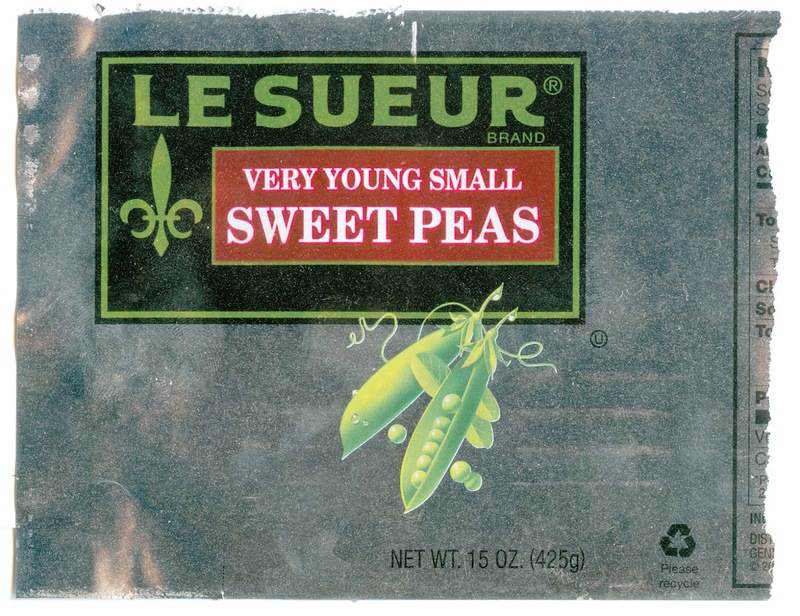 The fact that the peas are described as "very young small" is slightly unsettling to me. I'm not sure why. Oooh! Do come. To the concert primarily, less so the peas. I miss your sweet, sweet, sweetsweet face. Yeah, now that you mention it, the string of "very young small" either sounds like a TLC album or some unpunctuated text from a porny spam email.